In the Khyber Pakhtunkhwa Education Department vacant Situations for the various vacancies for the 2019 for the male and Female both applicants. These vacancies are vacant Secondary School Teacher (SST) Biology, Chemistry, Physics, Maths, General, CT, DM, PET, TT, AT, Qari and Qaria, Primary School Teacher. Application are invited by the NTS Testing service So you Must Apply on the NTS Online Application form carefully with in due dates because after the due dates application form will not be considered. The Last date of application form is 22 January 2019 once you will applied online the NTS national testing service will announced the short listed candidates details online, The you have to check online selected candidates lists and rejected candidates lists if your name is mentioned in rejected candidates list then you should not to do further any thing because you are not eligible and if your name is mentioned in the selected candidates then you should start preparations online for the nts test. To clear the nts test you must remember few things, First of all you must know about syllabus and second you must know about marks weightage and third thing is preparations of that syllabus for test and must know about pattern of the test. Here we bring the NTS Online Test preparations system to clear the nts test and this preparations system is made according to NTS syllabus and pattern as well. So you must start preparation with free of cost at your home, You don’t need to join any academy to clear the nts test for kpk educators jobs 2019. Selection criteria of of the teachers jobs in kpk according to the kpk educations department is the following. They set the 200 mark for the selection criteria and their division is like this ; NTS screening test marks 100 and Educational degrees obtained marks are 100 too. Educational 100 marks are divided with the specific way and that is mentioned below. For the BS 4 year programs marks division like this (obtained marks x 40 divided by total marks), For the Professional MA Education studies Marks division will be like this (Obtained Marks x 10 divided by total marks) 5 marks will count for BEd and 5 Marks will be count for MEd. Lists will be displayed individually by the each school vacancies. Obtained marks by the NTS test and Obtained Marks by the Qualifications will be added and in the nts test 40 marks are compulsory other wise you will be considered as fail. 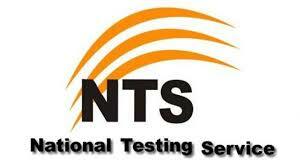 NTS Address For Application Form Submission : National Testing Service Head Quarter Street No. 4, H-8/1 Islamabad.